One Less Headache: Fun Thanksgiving Math Packet! 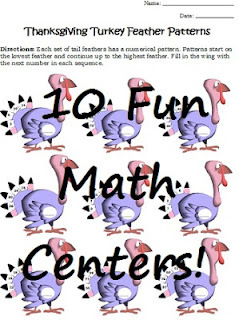 If you are looking for a fun Thanksgiving themed math center for your students, check out my Thanksgiving Math Worksheets! 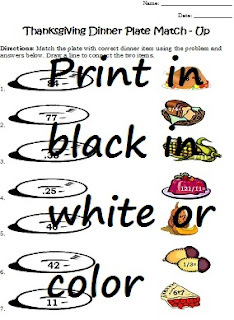 Included in this pack are 12 Thanksgiving themed math worksheets that focus on math skills such as multiplication, division, fractions, converting fractions to decimals, pie graphs, and bar graphs. 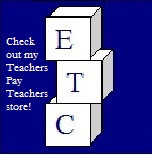 I recommend this pack for grades 5-8. This pack is one of my best sellers! All of these are included for only $3.00! 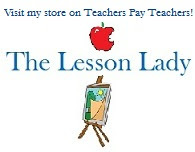 If you prefer Thanksgiving literacy worksheets, check out my related literacy pack for more Thanksgiving fun.